The Double Eagle boasts a rich history and of course, no historic building is complete without a major tragedy and subsequent haunting. The Carlotta Room is reportedly haunted by ghosts with a tragic story of forbidden love and dastardly murder attached to them. When the young master of the house had the audacity to fall in love with a servant, his mother in a mindless rage at discovering them together resorted to stabbing the young miss to death and accidentally struck her son when he leaped in to defend his lady. The pair of lovers supposedly haunts the former bedroom to this day. My family and I went there for my birthday and my mom and dad got the ghost room and while eating dinner I’m pretty sure I heard the servant girl say “Let it go” and it still bothers me to this day. 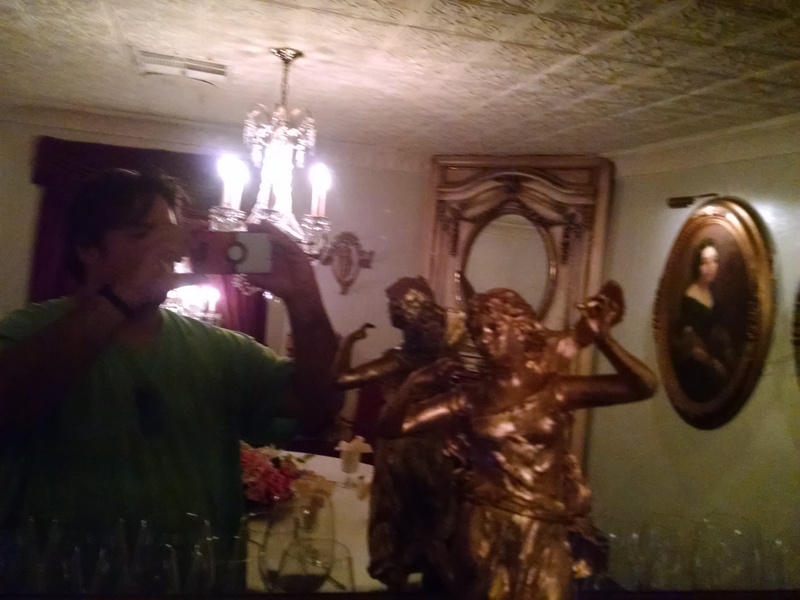 Investigated the haunted locations of the double eagle restraunt caught an orb on film but most interestingly caught a photo of what appears to be to copper colored apperisions in the Carlotta room. I was completely alone in that room and there are no statues. 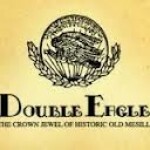 so i actually wanted to share a video i caught at the Double Eagle restaurant where i caught two orbs fly past and a little girl laughing and talking that i didnt hear with my own ears.